You read it right. Apparently, the Senegal National Sanitation Utility is experimenting with a mind-boggling Uber style waste management system in Dakar, the capital of West African nations. 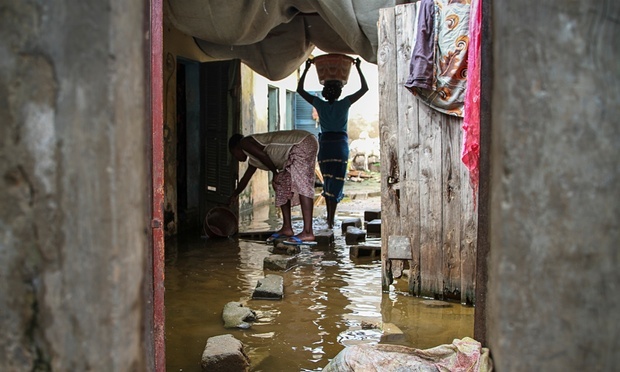 Eighty percent of Senegal residents use pit latrines and due to a problematic sewage system, the pit-emptiers charge excessively to clean up the dirt. So the government has decided to introduce a SMS service to collect and sell it! In Uber style, the Senegalese now send a text message to the government when it’s time to empty their pits, and all pit-emptiers in the neighbourhood get tenders issued by the government utility department. They bid to collect the faeces and deliver it to a central location. This SMS service, financed by the Bill and Melinda Gates Foundation, already has 65,000 users. But how the new system is saving money? According to Business Line’s report, in the first year of the service, the average cost of emptying pit latrines decreased from $150 to $90 a year per user. The target is to bring it down to the $60 range. But according to official estimates, Dakar produces 1,500 sq m of faecal sludge a day of which only 1,100 sq m are collected and processed. If the experiment needs to be successful, it needs to be available to every Dakar resident. However, decreasing the cost is only a part of the experiment. The Gates Foundation has also funded the building of an omniprocessor to convert the poo into a saleable commodity, “like electricity or ash”. Moreover, the steam produced when drying the faeces can be filtered, condensed and treated to produce portable water. Additionally, the omniprocessor can also produce 250kw of electricity and 80,000 litres of drinking water a day. Producing electricity from poop is one thing, but poop could be valuable – lot more valuable. According to a study funded by the US Geological Survey Mineral Resources Program, scientists have found precious metals like gold, silver and platinum group metals in wastewater treatment plants. According to the study, about 1kg of sludge could typically contain about 0.4mg gold, 28mg silver, 638mg copper and 49mg vanadium. In Tokyo, a waste management plant has already started extracting gold from faeces. Sweden started experimenting with making bioplastic with human waste. Now imagine what India could do with its 1.3 billion population and their sludge? The Most Badass Quitting Video. Ever. Top 10 Highest Paid CEOs In The World Meet Zhou Qunfei, The Richest Self-Made Woman In The World Everything You Need To Know About The Vyapam Scam These Top CEOs Are Inspiring An Informal Work Culture These 7 Amazing People Fought Their Disabilities & Rose To Top Google Exec Among Those Killed In Nepal Earthquake 22 People Working in 22 Different Countries Tell Us What It’s Like Google CFO Retires With Memo That Talks About Work-Life Balance These 10 Famous Authors Had Regular Day Jobs!